John Redden is joining us again! Given the globalization and the global climate tragedy, and the extreme and rapid changes that are taking place all around the world that many are now already experiencing, the theme for the next retreat will be all about “building resiliency” on all levels. We need to be resilient within our selves first so that we can take that resiliency out into our homes, family, work and then out further into our communities. Watch here for updates and for the schedule as it comes together!!! He has over thirty years experience growing and wild crafting herbs, manufacturing remedies and clinical practice. 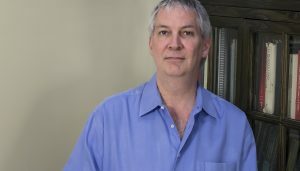 As a member and former vice-president of the Ontario Herbalists Association, he co-founded “A Celebration of Herbs”, Toronto’s largest herbal event..
John’s studies in the U.S., Britain, and Canada have culminated in the founding of Viriditas Herbal Products, whose clients include professional herbalists, naturopaths, and medical doctors. John also enjoys collaborating with NDs to produce patient specific remedies extemporaneously. Post-graduate herbal studies in Scotland and Spain along with naturopathic continuing education with oncology expert, Dr. Neil McKinney ND have helped John become effective in treating patients with complex medical conditions including cancer. In the late 1970’s John spent about a year at Findhorn in Forres, Morayshire, Scotland. 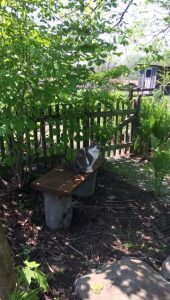 It was here that he began an ongoing dialogue with the life-beings and light-beings of creation. Laura Vazquez is a certified yoga teacher for over 10 years now. Her focus is on gentle yoga exploring both physical and spiritual approach. Each student is encouraged to take the next step in their own path to wholeness. Laura’s spirit led practice pays special attention to physical alignment, movement of energy, and opening the heart. For Laura a successful practice leaves everyone calm, alert and happy. Laura also has a keen interest in the plants and herbal medicine, which she has been studying much of her life and is a major importance for her. Christine Dennis RH, MNIMH, MSc. (Herb Med.) has a Master of Science degree from the University of Wales (MSc.) in the UK. 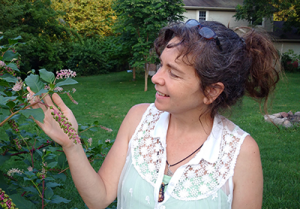 Christine is the past president and current Professional Member of the Ontario Herbalists Association (RH) as well as a member of the National Institute of Medical Herbalists (MNIMH) in England and is a graduate and clinic instructor for the Dominion Herbal College Clinical Program. Contact Christine by email (info@christinedennis.ca) or by phone (519-874-4532).